I thought of this question the other day while driving and thinking about the budget for my cars--How much have you spent on your special vehicles? If you have more than one vehicle, add them up. This is anonymous, so don't worry about the info being used for anything. I'm just curious. Interesting poll. I've thought about this as well from time to time. I haven't spent all that much on my car. I have however, put more money into my one car, than I had bought it for. Although I really don't have much to show for it performance and aesthetics wise, I really don't consider it a waste. I now have myself a very dependable and fun (well to me anyway) daily driver that I put hundreds of miles on each week. too hard to answer for an old guy like me. he dont know.. just as i dont know. Last edited by CADster; September 27th at 12:45 AM. Last edited by Spook; September 27th at 04:13 AM. In our "garage"hold, because our garages are double the size of our home, all our money goes to our babies, listed below !!! Isn't that the way it is suppose to be??? I've put way more $ into my car than i could ever get out of it but, if I could put a dollar amount on the enjoyment and pleasure it brings me, I'd say I've gotten more out of it than I've put into it. Well, I dont even want to total it, but I would let it go for the right offer to try to salvage what i could. Then just start over with a new one. this is a scary poll. it (almost) makes me want to cry! If I want any of your lip, I'll jiggle my zipper. Hmm...looks like this might need some clarification. Put the amount you've spent period on the vehicles you currently own. This means that if you have a stock car that you've had for 10 years, only put the cost of the car. If you have a car that's only a year old that you've dumped $5000 into, put the cost of the car + $5000. If you dumped $100k into a car, but then sold it on Barrett Jackson for $1 million, then put zero since you don't own the car anymore. Benji W , hmm.....did you used to have a cbr ? lived in charleston oaks ? is back from trip to Lago Garda. then bought another replacement for $100k from the $1 million proceeds...would that still be zero?? yep, that's me. Pearl/Red '01 F4i and a Black '03 Z Tahoe. 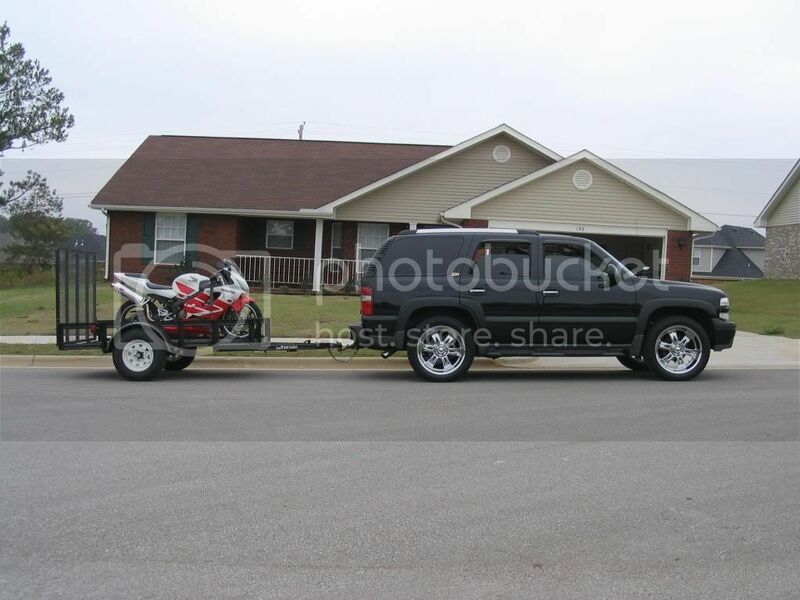 you remember pushing a 92 cbr f2 up the hill after a wreck at the buds and storing it in your garage ???? that was me ....... whats up man ? Last edited by MADEWELL; September 28th at 09:38 PM. you remember pushing a 92 cbr f2 up the hill after a wreck at the buds and storing it in you garage ???? oh snap! how the L have you been?